Welcome to the FREE Well-Being Toolkit! 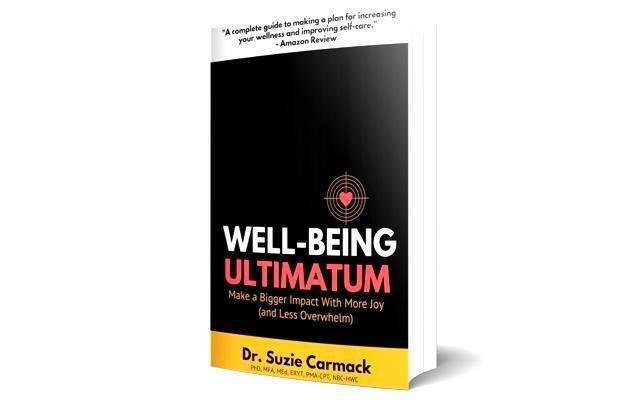 Learn more about how you can access your FREE Well-Being Ultimatum E-Book (plus other great tools) in this short-and-sweet video! For a limited time we are offering my Well-Being Ultimatum Toolkit absolutely Free. Learn more about what's included below...then click on the link to get immediate access! When does doing good for others...stop being good for you? How can you take better care of yourself while you help and heal the world? In this book, author Dr. Suzie Carmack shares her extensive research as a scholar and strategist in work/life balance with her own powerful story recovering from burnout and compassion fatigue -- conditions that are often undiagnosed among those who work in service-oriented fields. The result is a powerful call-to-action for anyone who keeps putting themselves and their self-care last in order to 'get the job done'. 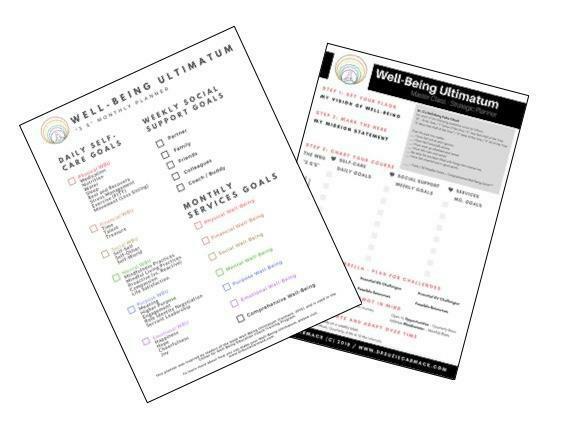 These two downloadable one-pager tools will help you to make your well-being ultimatum today -- and keep it over the long run -- so you can finally make time for self-care once and for all. You'll see that the planner will walk you through the Well-Being Ultimatum planning process - so you can prioritize your self-care, social support and service needs. You'll also see that the buddy contract was designed to help you to share the well-being ultimatum experience with someone you care for -- so you both can protect your well-being and have more fun along the way! This FREE Access will only be available for a limited time, so click here to to gain your immediate access to the E-Book, Action Planner and Buddy Contract!